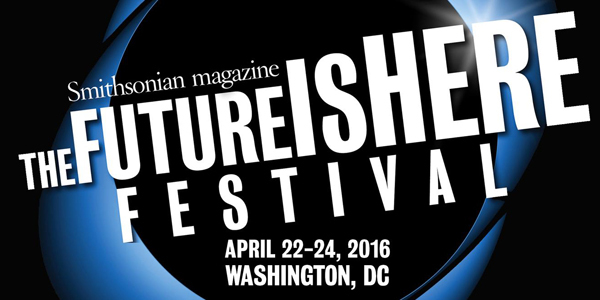 The 4th Annual “The Future is Here” Festival will be held April 22-24 at the Shakespeare Theatre in Washington DC. Presented with the participation of NASA, The Smithsonian magazine’s “Future Is Here” festival features a series of visionary talks on what’s on the horizon in an array of fields before an avid crowd of researchers, industry experts and tech and science enthusiasts. An ELECTRIFYING performance by the first singing Tesla Coil band and Marco Tempest, the world’s leading CYBER MAGICIAN and many, many other mind-bending visionaries and experts!